Ross Dannenberg handles a wide-range of intellectual property issues, with experience in networking, blockchain, video game, telecommunications, and computer software-related issues. With a background in computer science, Ross has prepared and prosecuted hundreds of patent applications in a variety of technical fields, and has been involved in numerous patent, copyright, and trademark enforcement lawsuits. He has considerable experience with intellectual property protection of video games, including patent, trademark and copyright protection, copyright clearance, licensing, and enforcement of intellectual property rights. Mr. Dannenberg earned his Bachelor of Science degree in Computer Science from the Georgia Institute of Technology in 1994, and earned his private pilot’s license in 1999. Between his undergraduate studies and law school, Mr. Dannenberg was an Information Systems Manager for Carnival Cruise Lines, where he was responsible for all facets of computer and network use, training, and administration aboard a cruise ship. 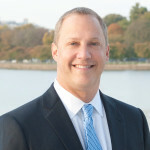 He earned his Juris Doctor from The George Washington University Law School in 2000, where he was a member of The Environmental Lawyer legal journal. Mr. Dannenberg is the founder and editor-in-chief of the PatentArcade.com legal blog, is the editor and a principal contributor to The American Bar Association’s Legal Guide to Video Game Development (2nd Ed., 2016; 1st Ed., 2011), and is an editor of The American Bar Association’s Computer Games and Immersive Entertainment: Next Frontiers in Intellectual Property Law (2nd Ed., 2018), published by the IP Section. Mr. Dannenberg serves on the Editorial Board for the Interactive Entertainment Law Review (IELR), is a founding member of the Video Game Bar Association, and was the founding Chair of the American Bar Association’s Committee on Computer Games and Virtual Worlds. Mr. Dannenberg is a Lifetime Fellow of the American Bar Foundation, is an Adjunct Professor of Video Game Law at American University Washington College of Law, and served as adjunct professor for Patent and Copyright Law courses at George Mason University Antonin Scalia Law School. Mr. Dannenberg has been named to Washington D.C. Super Lawyers and Managing Intellectual Property’s IP Stars since 2013. Mr. Dannenberg was recognized for his work in patent prosecution in the 2017 edition of IAM Patent 1000. Mr. Dannenberg’s representative clients include multinational software, networking, and telecommunications companies, multiple video game companies having user bases of over 20 million users, video game developers and publishers of various sizes, and emerging technology companies. Mr. Dannenberg practices in the firm’s Washington, D.C. office.